The problem we solve: Interoperability, the elephant in the room. The lack of usable medical data not only limits the care provider from being in a position of rendering the most "informed clinical decision(s)" on behalf of the patient at every encounter, it represents a cost factor to the healthcare system as a whole to the tune of hundreds of billions of dollars each year. Since 2009, the government and the US healthcare system has spent some $176 Billion trying to solve this issue according to a Rand Study. From investments in HIE's, EHR's, API's, FHIR and other, it is now 2019 and "they still don't have it". Meanwhile, care provider continue to make clinical decisions on behalf of the patient from often times less than complete medical history. The problem being, "they don't know, what they don't know"! About our solution: The "backbone" for all the digital solutions developed by ISeeYouCare is the Virtual Lifetime Universal Personal Health Record with the capacity to retrieve a patient's medical data from all the major EHR's in north America "agnostically" All data retrieved is then parsed, normalized, reconciled and placed in the patient’s clod-based longitudinal medical history repository. The data may then be made available to every care provider of record with a few clicks of the mouse or mobile device. The above solution has enabled iSeeYouCare to develop the worlds first Smart Health Card. While much of the company’s digital health solutions to include a Certified EHR, Web-Based EMR and Universal Virtual Lifetime Personal Health Records system, My Mobile Health App, all with eTelehealth and Telemedicine embedded have been in the market place since 2011, several newer additions to include our Home eHealth Monitoring Solution for RPM and CCM and "new" Smart Health Card have yet to be deployed. Our Home eHealth Monitoring Solution is ideally suited for hospitals, private practices and long term care facilities as it addresses problems with the 30-day readmission penalty and/or generating new revenue streams associated with intiating CCM and RPM programs. It agnostically connects to disparate EHR systems making deployment seamless. The Smart Health Card is scheduled to be deployed in a State-wide Medicaid Pilot Program in July 2019. Additionally, CMS and the VA have expressed interest in doing similar pilots in the 4th quarter of 2019. The solution is marketed and sold to Payers i.e. CMS, VA, DOD, State Medicaid and PEIA Programs and of course, the private health insurance market. It is to that, we submit this challenge response. "We are looking for Partners"! Bio: Robert E. Higgs is a native of Evansville, IN, USA. Mr. Higgs is the father of one daughter, Tamara D. Stallings, the grandfather to two daughters, Tara L. and Amanda E. Price and the husband of forty-seven (47) years to Carole E. Higgs. Mr. Higgs is a graduate of Indiana State University with a degree in Mechanical Engineering and holds numerous patents in various industrial sectors. Mr. Higgs work in the area of fluid dynamics is the subject of several technical papers that he authored and later published by ASME. Mr. Higgs is a proven entrepreneur who has founded eight different companies over a period of his thirty-five (35) year career. None of the former endeavors has had the impact on his life as has the present companies of ISeeYouCare, Inc. and Global care International whose very work is to help bring about change in an all too important sector; to an all-important population base with the potential of providing life changing influences. Patients receive medical services from multiple sources. The patients’ medical records are thus stored in multiple places. A typical care provider has but a glimpse or snap shot of medical data from which to review and consider when making "informed clinical decisions (diagnosis) and subsequently, developing a path forward (care treatments). Having a solution that can collect, aggregate all of a patient’s medical records to include imaging, and make available to every care provider is a substantial advancement that would most certainly lead to better outcomes and lower cost. Given that same system can also support CCM, RPM, Telehealth and Social Determinants, this solution is a true game-changer. Hospitals can utilize this same system as has been described in various way to implement or augment their existing 30-day Readmission Program, Chronic Care management (CCM) program, their Remote Patient Monitoring (RPM) Program and their Telehealth Program. The system can bolt on (by use of API’s) to any disparate operating system and/or report to that disparate operating system using existing HL7 C-CDA communications. As the healthcare system continues its transition to the Home, these value-based, real time interaction, intervention and clinical care management of a patient capabilities are critical to the success of this mission. While the other sections have dealt with either patients or care providers, there is another important stakeholder that has yet to be addressed, the Payer! From a Payers standpoint, they are financially if not for humanitarian reasons, incentivized to promote wellness, improved outcomes and control cost. This solution achieves all three at a nominal cost while also providing the means from which to automate their claims processing system with verifiable data to thwart fraud and cost associated with unnecessary procedures. ISeeYouCare is looking for strategic partnerships with organizations that align with our core mission. The proven technologies(s) as described in our response, provide a solution to the collection, aggregation and analysis of medical data from all of a patient’s sources for any patient in near real time. This includes the collection of physiological data from wearables and home medical devices to include; ECG, BP, HR, SpO2, Resp, Temp, Glucose and Weight. All the data is patient-centric, belongs to a patient and managed by their healthcare team with notifications of episodic care received by the patient made available to every care provider of record in near real time. While no one has ever developed a more comprehensive data collection model than ISeeYouCare, the ultimate goal is; making the data actionable to the patients’ healthcare team. You see, as we all know, but too often forget, healthcare is a "team sport" of sorts and everything should involve around the patient with the patient being engaged in their health with a level of personal responsibility. 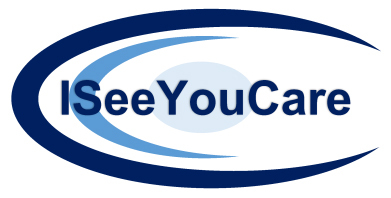 ISeeYouCare is looking for strategic partners with a special emphasis on Payers. To that end, the company has opened one office in Louisville and are looking to open another office in Charleston, WV in support of significant deployments of the company's technologies. That is to say, while we are not presently active in the State of LA, we would seriously look to open an office for support personnel in New Orleans should the company become engaged with one or more of the sponsors of this challenge. The company was founded by Robert E. Higgs. As is often times the case in real life situations, the vision and subsequent technologies as developed and marketed by the company was birthed from a near tragedy involving Mr. Higgs wife, Carole. Mrs. Higgs was admitted to an acute care hospital facility for a common surgical procedure. Normally speaking, the hospital stay for this type of procedure was expected to last only two to three days. Over the next 35 days with 27 days in an ICU environment, Carole found herself fighting for her very life. Mr. Higgs observed that many of the very systems for which his wife Carole's well being rested were either flawed or simply non-existent. Mr. Higgs himself an engineer made a commitment to his wife and himself that he would apply all his experience and abilities to help bring about change to an industry that for too long has resisted fundamental change in many areas having to do with clinical decision making. Mr. Higgs, himself a proven entrepreneur and the President of a well respected company by the name of CSI Engineering (formerly CSI Industries d/b/a Chemical Systems) set out to develop and establish the framework for a patient-centered technology based company whose only mission was to bring about change in the nation’s Health Care System to the benefit of patients, care givers and the industry itself. My team of dedicated developers and I ask you to help us see the completion of our now ten year mission to "change medicine". If we can do it in Nigeria, Uganda, Brazil, and other far off places, can we not do it in the US. ?